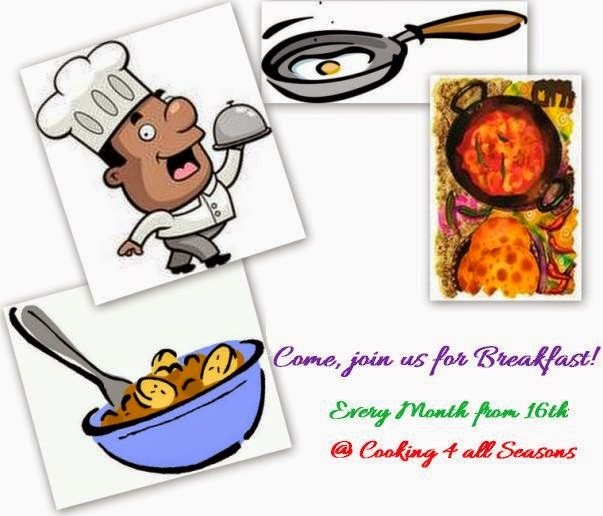 Cooking 4 all Seasons: Come, join us for Breakfast ~ August Event Announcement! "Come, join us for Breakfast", this August with your interesting Breakfast ideas! From now till September 15th 2014, cook any breakfast dish and link them in the linky tool! • Archive entries from July 2014 are accepted, provided it has a link back to this announcement.